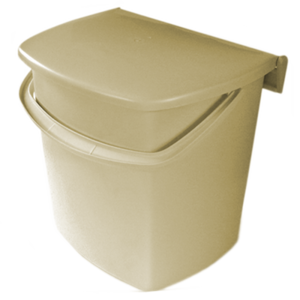 D shaped cream Plastic waste bin. What else can we say? somewhere to put waste.